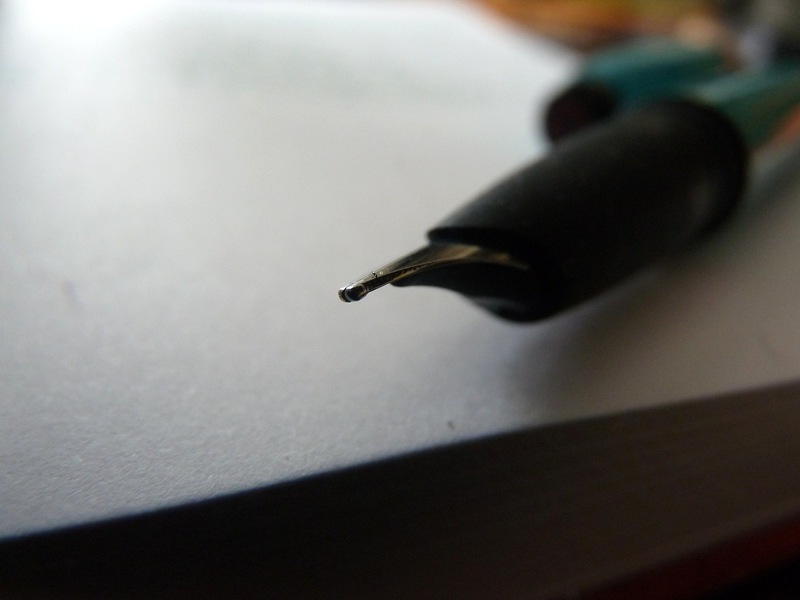 Platignum Studio fountain pen review – Pens! Paper! Pencils! I shouldn’t really like this pen. 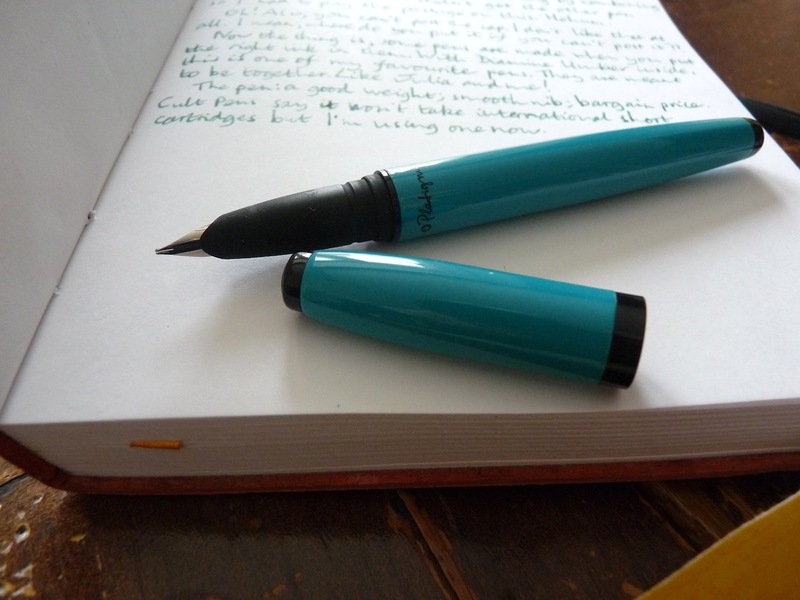 It is a rather strange colour (turquoise, allegedly) and a medium nib. Also there’s nowhere to put the cap! I know that won’t bother most of you but to me it’s rather troublesome. I bought this pen by accident (I was scheming on eBay) but it’s turned out to be a favourite. 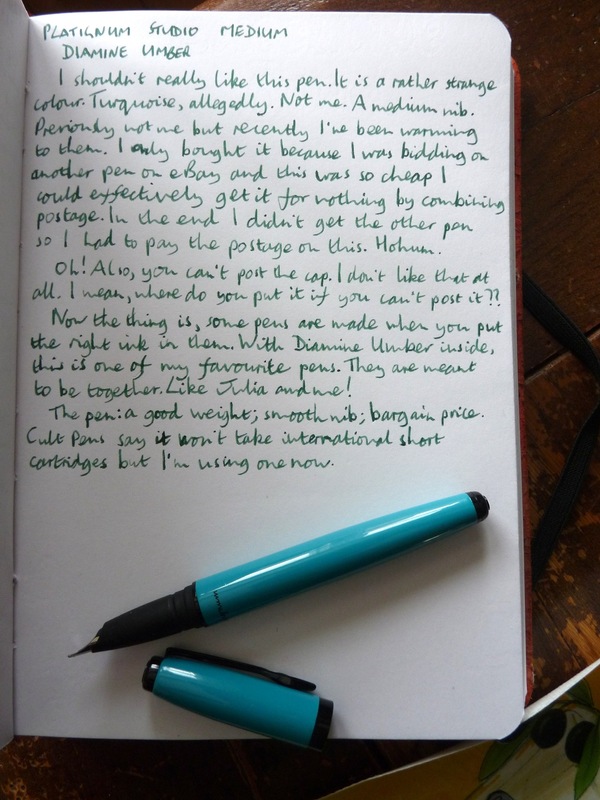 It’s a favourite because when I put Diamine Umber ink into it, it produces beautiful writing. Beautiful for my handwriting, at least. Sometimes you find an ink and pen combination that is the making of both. How come there’s nowhere to put the cap? I like posting too and I also owned this fountain pen in the same color (my favorite, of course), but not with a hooded nib. It’s actually for the first time that I see this design in this pen. It looks great, better than my old one..